SingTel has spent the past three years refining and investing in its social media and digital content strategy. In the past year alone, SingTel has produced a wide variety of content – from educational infographics to award-winning video campaigns such as the #Need4GSpeed and #HawkerHeroes. When a consumer decides to share a video or re-tweet an article, it is usually either because they find the content thoroughly upsetting (to which the reaction is, “I have to share this!”) or find the content so amusing (to which the reaction is, “I have to share this!”). #HawkerHeroes worked particularly well for SingTel, not just because of the presence of celebrity chef Gordon Ramsay, but also because it delved into an issue close to Singaporeans’ hearts: local heritage and cuisine. As tempting as it sometimes gets to fill marketing content with information, just remember if this was only about appealing to rational minds, social media would be about the viral distribution of white papers. “Please make this viral” is a phrase social media marketers dread. Too often, making material viral is seen as the only goal worth pursuing. But unlike DeGeneres, most mere mortals (or brands) will never be responsible for the next Most Retweeted Tweet in History. Instead, understand where this piece of content fits into your overall campaign strategy. Is it meant to educate? Or call attention to an issue? More realistic metrics such as video views or clicks to a campaign site may be a more sensible goal. But even the best creative work is wasted if no one finds out it exists. Especially in today’s extremely cluttered media environment where hundreds of hours of video are being uploaded to YouTube every second, the chances of your shiny new video being discovered organically get smaller by the day. Combining an influencer outreach programme, traditional PR and an initial burst of paid media, can give your content that boost it needs to get an audience’s attention and get that “share” snowball rolling. #HawkerHeroes, SingTel’s most successful campaign from last year, may have looked like a random viral campaign. But it only came to life through a complex multi-channel strategy whose execution was planned down to the minute-by-minute detail. The best content campaigns are the ones where the audience gets in on the action. Consumers can be valuable co-creators, as we have seen in a number of campaigns from Old Spice to Oreo. SingTel’s #Need4GSpeed enlisted consumers to provide their best applications of a high speed mobile connection which were then translated into comedy sketches by comedian Hossan Leong. One common mistake brands make is to make participating in a campaign too complex, which can be an obstacle to a social media campaign’s success. I personally prefer to apply the “60-second rule”. Ask yourself, will responding to the content or participating in the discussion take more than 60 seconds? Years ago, brands relied heavily on mechanics such as photo submissions and anticipated no more than 10% of the audience would actually participate, while the rest simply watched. Today the hashtag offers a much simpler way to participate and lowers the barrier to entry. 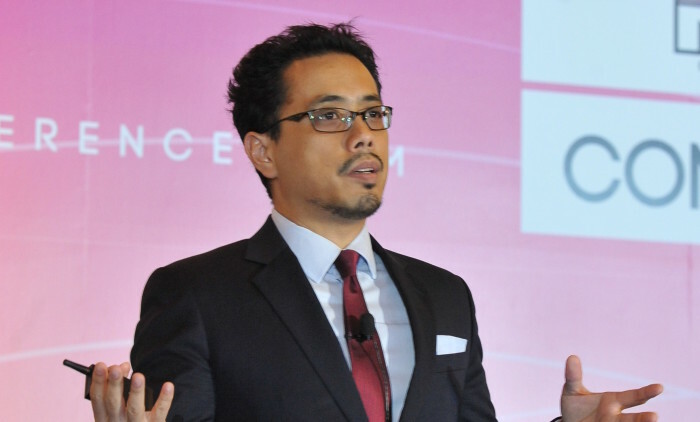 The writer is Miguel Bernas, director of digital marketing at SingTel. Taking the essence of the famed local forum, the magazine positions itself as a leisure and lifestyle bible with its focus on crea..
More here on the partnership with Skop Productions. ..